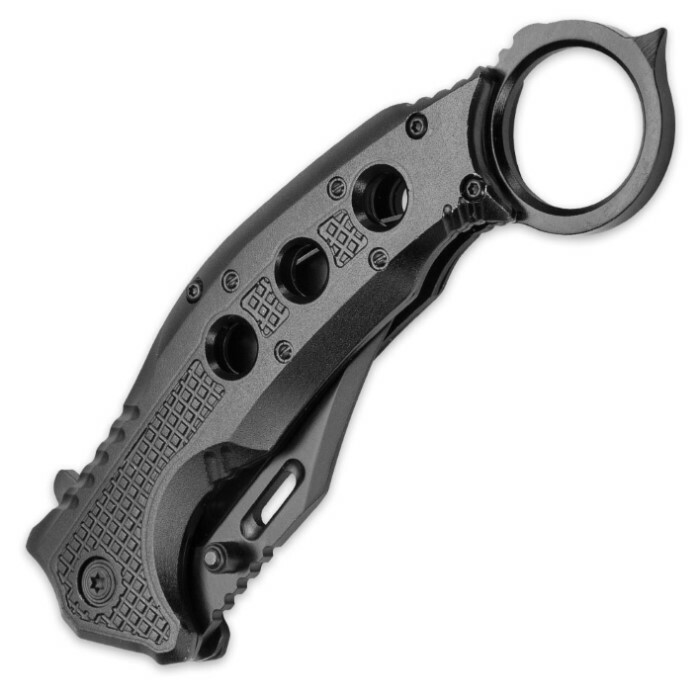 The Black Legion Black Karambit Pocket Knife was inspired by the karambit design including the signature open circle handle. Thanks to this incredible, limited-time BOGO offer, here's your chance to own two of these wicked cool knives for one great price! 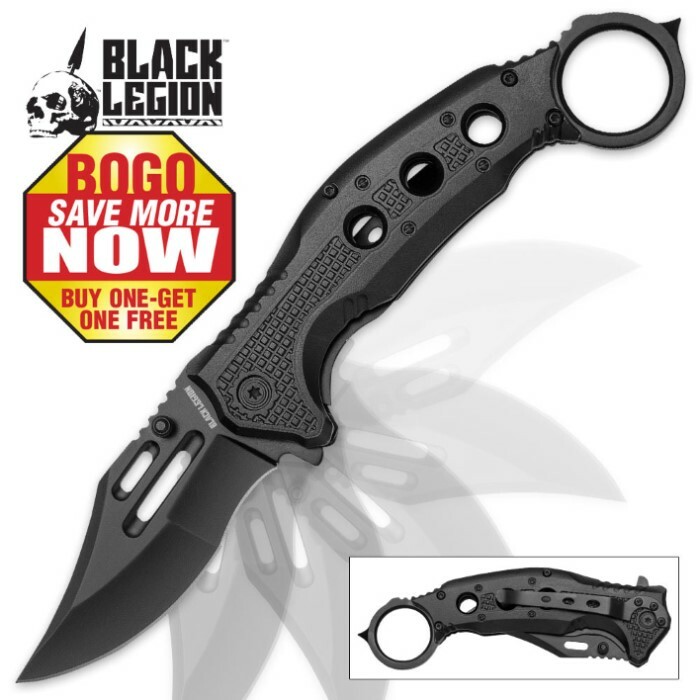 The knife features a 3” 3Cr13 steel blade with a black finish and opens smoothly and quickly with a spring assisted mechanism and thumb stud. The handle is of aluminum and the knife has a black liner. There is also a pocket clip so that you can carry everywhere. 5 1/4” closed. Buy one, get one, but not for long - act fast! These knives are awesome. 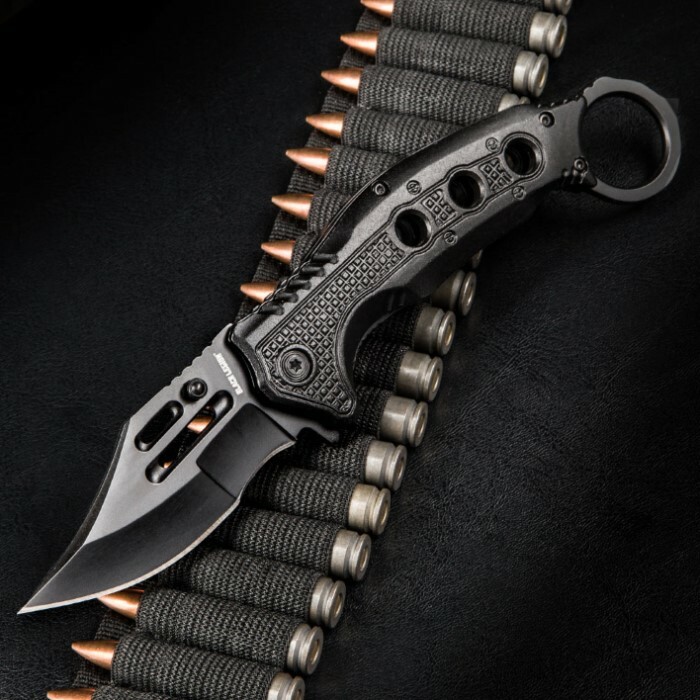 Razor sharp with a deep belly for superior blade control. The open circle handle gives me a confident grip even when cutting in wet or muddy conditions. The price is great. I gave one to one of my girlfriend's friends. Easy to open, small sharp blade, and large secure handle make this a great first knife, too.